Graduate education builds the next generation of leaders, teachers, and scholars. 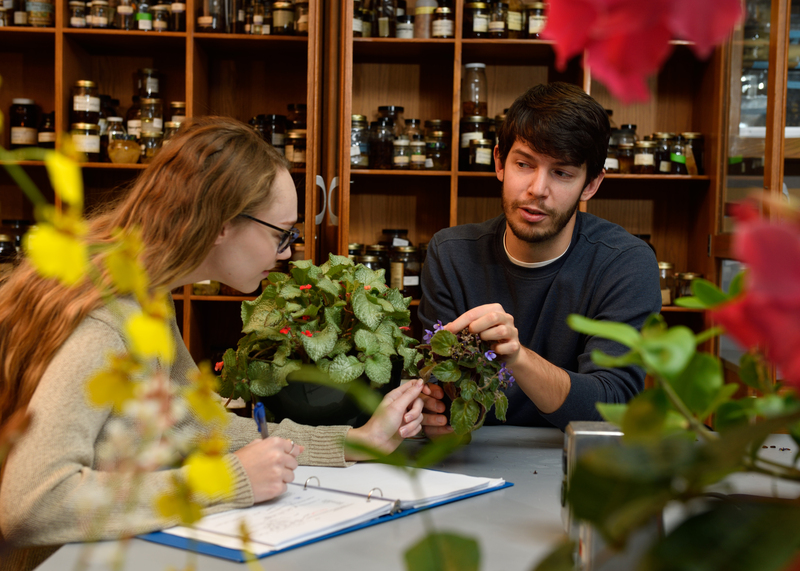 Imagine walking across MSU’s botanically rich campus and being able to identify the family of every plant you encounter. That’s one of the intimidating tasks facing students in Plant Systematics, also known as PLB418. But with graduate teaching assistant Matthew Kolp leading the way, they needn’t worry. Over his five years of graduate study, Kolp has become a recognized expert in developing creative and engaging teaching tools that guide students to deeper learning through participation. Former PLB418 students found to their amazement that they could confidently identify all those plant families. Matthew Kolp discovered a gift for teaching. They fondly describe his teaching with words like involved, enthusiastic, effective, kind, approachable, and dedicated. Kolp recently received one of six MSU 2018 Excellence-in-Teaching Citations and has twice been a Future Academic Scholars in Teaching Fellow. But Kolp is more than just a great teacher. He also is an up-and-coming plant biology researcher with a lofty goal. He wants to restore native chestnut trees in North America. The mighty chestnut was once one of the most valuable trees in the Eastern United States’ ecosystem before chestnut blight decimated populations of this once majestic tree. His research lies in the interactions of the many types of microorganisms inhabiting the stem and branch cankers of chestnut blight. Specifically, he is investigating how the microbiome influences disease symptom expression and is assessing how fungi in the environment can invade blight cankers and influence the severity of blight on infected trees. If that sounds complicated—and it is—suffice it to say that he’s exploring ways to blunt the effects of chestnut blight. 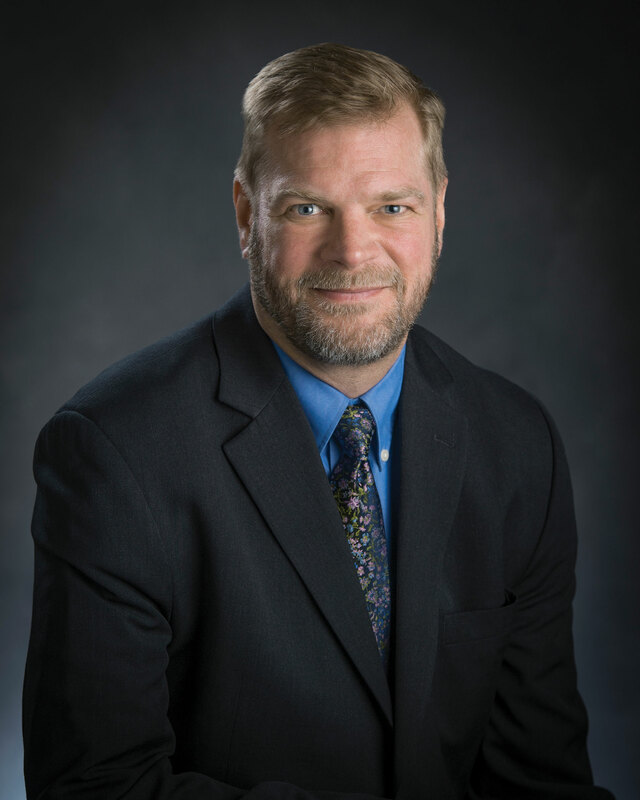 Matthew Kolp is but one of MSU’s 11,023 graduate and professional students having a profound effect on the teaching, research, and outreach of MSU, says Thomas Jeitschko, a professor of economics who last fall became the associate provost for Graduate Education and dean of the Graduate School. Jeitschko recently shared his insights on the footprint of graduate education at MSU and its promise for a better world. What is the impact of graduate education? Advanced degrees are a key driver for innovation in a wide variety of fields—providing not only a well-trained workforce but also fresh perspective and enthusiasm. It is the graduate students of today who will be the researchers of tomorrow, and who will solve what until now have proven to be intractable problems in need of new thinking and approaches. The world’s prosperity is tied to our ability to be innovative and creative, and to translate good ideas into solutions that build our economy, strengthen our communities, and improve the quality of life for individuals. The collaborative environment at MSU, where graduate students are shaped into emerging scholars and put to the test by experienced faculty, is perhaps our greatest asset when it comes to generating new ideas and innovation. As graduate and professional students complete their training, they also provide critical support for faculty in their ongoing research efforts. Our ability to attract and retain top faculty who build dynamic research programs is directly related to their having great students to work with. How do graduate assistants help create a dynamic learning experience for undergraduates? Many undergraduate students find success because a graduate teaching assistant provided the boost they needed to cross the finish line of that dreaded required economics, or psych, or math class. Graduate students are some of the most innovative and enterprising instructors in the classroom—and because our graduate student population is very diverse, they frequently become key mentors who are able to connect with students from underrepresented backgrounds. Graduate students will touch the lives of thousands of undergraduate students during their training and in their future careers. Their MSU training gives them the opportunity to hone inclusive teaching methods that will make a big difference to the future of our state, our nation, and beyond. How do graduate students impact communities, even as students are receiving their training? MSU’s professional and master’s programs have strong ties and connections to the communities around us—with our health colleges being community-based, our law college engaged directly with community needs, and our many master’s programs often working directly with community stakeholders across the state, be it in social work, music, journalism, entrepreneurship, engineering, and many more. Add to this the many students from all over the world who realize their most exciting dreams by coming to MSU to get a world-class education that allows them to help transform the world, and it is clear that graduate training is one of our most effective instruments of outreach. Monica Villarreal, a recent Master’s of Social Work alumna, cut her social work mettle as a graduate student helping to create Flint Community Help Centers, modeled on successful programs developed in communitiers that have experienced crisis. 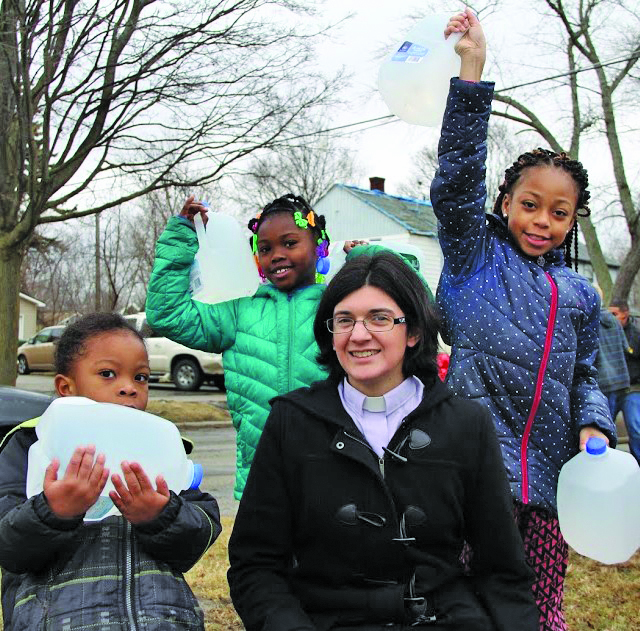 The project built on the strength and resilience of the Flint community to develop collaborative solutions that no one organization could solve alone, says Villarreal, who is priviliged to serve as chair of the Advisory Board overseeing the project. Doctoral students are impacting communities as well. For example, the Adolescent Diversion Program of the Psychology Ecological-Community Program has engaged doctoral students in community efforts to generate alternatives to incarceration for young offenders. Many graduate and professional students complete MSU’s Graduate Certification in Community Engagement. The certification is designed to help students tailor their program of study to strengthen their scholarly and practical skills in community-engaged work. To successfully complete the certification, students must complete a 60-hour mentored community engagement experience as well as show mastery of core engagement competencies. The Council of Graduate Students established an endowment in 2010 to recognize graduate and graduate-professional students with the COGS Disciplinary Leadership Award. It is a testament to the importance graduate students place on community involvement that winners are recognized for showing significant community leadership. How do graduate fellowships help ensure excellence in graduate programs? Graduate fellows form a cornerstone to strong programs. With stable funding, these students have more flexibility to explore research interests and collaborations. Fellows work in partnership with faculty and other graduate students to advance research and mentor undergraduates, as they hone skills for leadership in their own careers. Endowed fellowships ensure that Michigan State can attract the finest leaders to its doctoral programs, strengthen our teaching and research mission, and provide significant incentives to encourage the best students to make MSU their home. What is needed to strengthen and grow graduate education at MSU? At a time when the growth of U.S. research activities is most critical, federal and state resources that help provide funding for graduate students have diminished. At the same time, Michigan-based businesses struggle to find skilled workers to fill high-tech jobs due to the shortage of domestic students earning advanced degrees in science, engineering, and technology fields. And we know there is a coming shortage of qualified faculty to meet the growing demand in higher education. will grow to produce 620 five-year fellowship awards. Fellowships are one of the best ways to attract top applicants, helping us to recruit the most capable graduate students who often are comparing multiple offers from other universities. Right now, with approximately 200 exceptional students nominated each year by deans and department chairpersons as the “best of the best,” MSU only has resources to offer 40 university-wide fellowships. 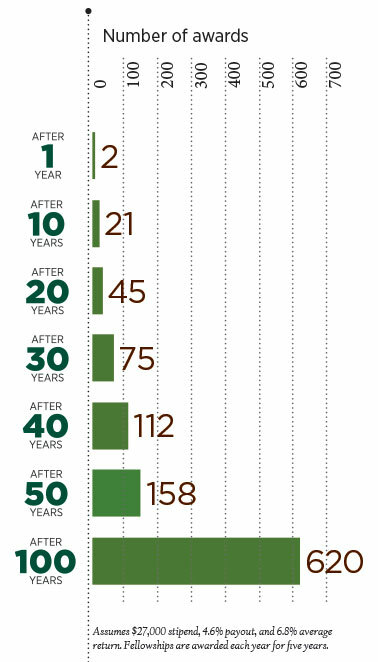 Our competitors with a strong history of raising funds for fellowship endowments offer closer to 100. So we must continue to invest in fellowship endowments. It is the bedrock for maintaining our competitive edge as a university, and for maintaining the quality of what we bring to the state and nation. To date during the Empower Extraordinary campaign, 1,295 donors have contributed more than $15.7 million to the Graduate School in support of graduate education, surpassing a $9 million goal. MSU is committed to continuing to create a cadre of outstanding graduate students who make a difference as they work alongside faculty in teaching and research. Private support for graduate fellowships is an important part of ensuring progress. Learn more about making a gift to support graduate education at MSU by contacting Senior Director of Development Jennifer Bertram at bertram9@msu.edu or calling (517) 432-7330.